Vila Velha State Park, Brazil: Curious and Very Interesting Sandstone Formations! Nowadays, closing a vulnerable area can not be the best way to protect it. This idea has increased between managers and environmentalists – especially when the degradation agents (even unintentional) are the local communities. Opening the protected area for visitors and allowing the tourism activity to explore these areas of environmental protection will cause impacts like garbage, depredation, the habit to take “natural souvenirs” home, etc. However, if the visitation is well planned, developed and managed it can surely bring lots of benefits to the protected area. 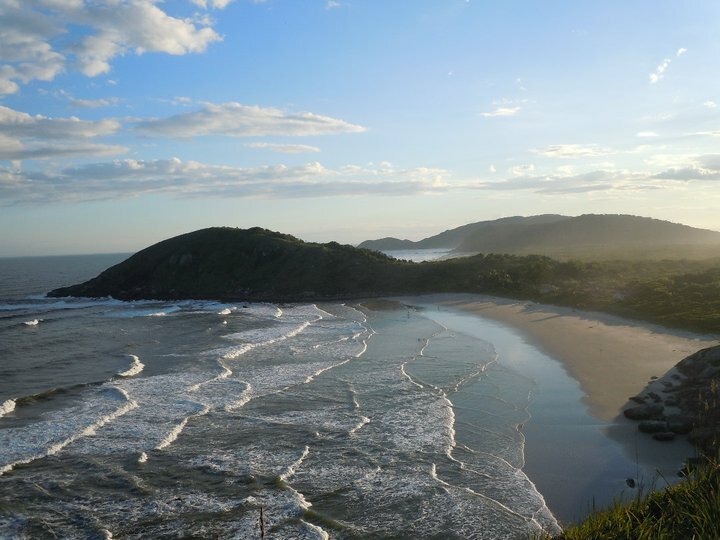 Several areas in the Brazilian state of Paraná adopted this idea and are now using the income provided by the tourism activity to preserve the environment and also as an alternative for those who are considered illegal habitants on these areas. 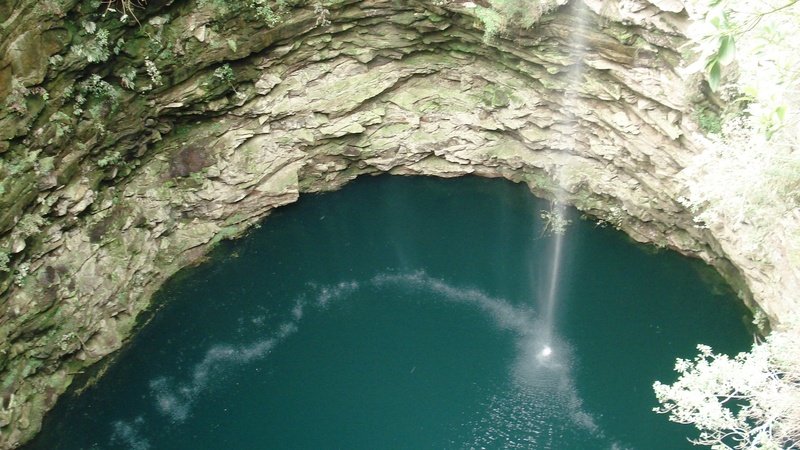 A clear exemple is the Parque Estadual de Vila Velha or Vila Velha State Park. 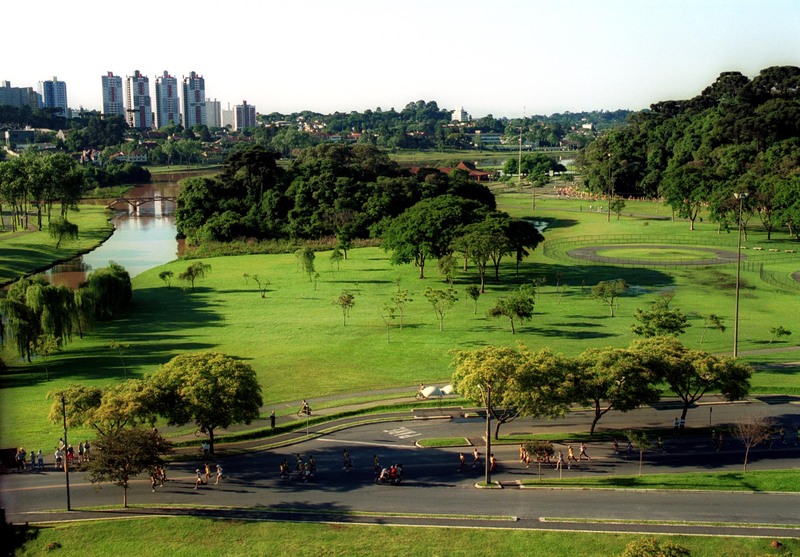 The park covers 40% of its operational costs revenue with the fee charged to visit the park (R$13 National visitors and R$25 for International visitors). In addition, the local demand leads the public power to invest more in infrastructure, as safe trails and bathrooms. “The tourist demand helps a lot in the financial and economical aspect and at the same time requires more investment. Equipments are required aiming to minimize the impact caused by visitors, especially a place filled of vulnerable elements as Vila Velha State Park”, emphasizes Maria Randall Dalcomune, coordinator of Vila Velha State Park. Vila Velha State Park or Parque Estadual de Vila Velha is located about 90km (55 miles) from Curitiba. The park was created in 1953 and was listed as a State heritage in 1966. The park is famous because of its intriguing, curious and very interesting sandstone formations rise from fields which were at the bottom of an ocean 600 million years ago. Volcanic eruptions, glaciation, and erosion by wind and rain have created over 20 gigantic shapes of a camel, a sphynx, a goblet and many others. The Goblet is a key element in an indigenous myth which explains the creation of Vila Velha. Seen from a distance or from the air, Vila Velha reminds a medieval town, standing majestic in the Paraná region of Campos Gerais. At Vila Velha State Park you can also visit Furnas, craters which formed as sandstone collapsed and where water accumulates forming beautiful water mirrors. Of the two craters known as Hell’s Cauldrons, the most attractive to visitors is the deeper one, in which a panoramic elevator goes down to a deck above the water mirror. 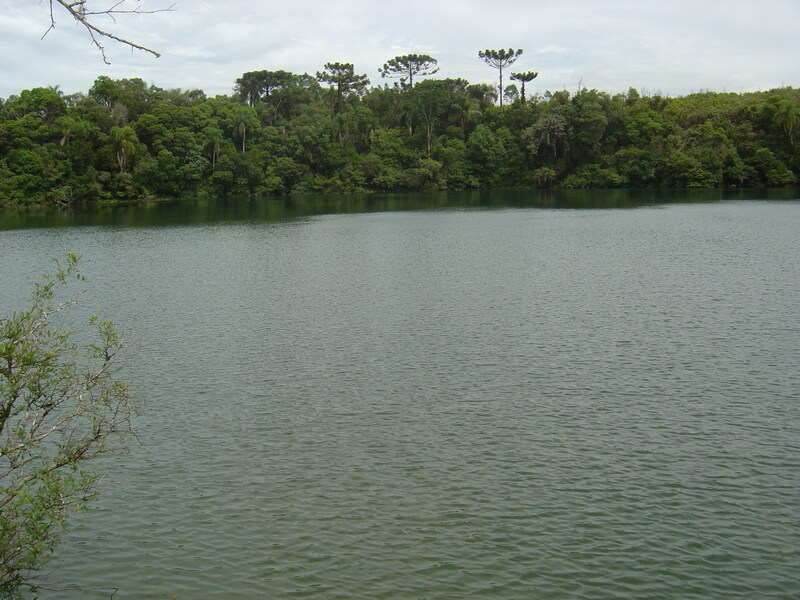 Golden Pond or Lagoa Dourada is another tourist attraction in the park. A similar process to the creation of the craters gave origin to the Golden Pond or Lagoa Dourada, so called because the incidence of solar rays on it used to create a bright, golden effect, thanks to the presence of mica on the bottom. 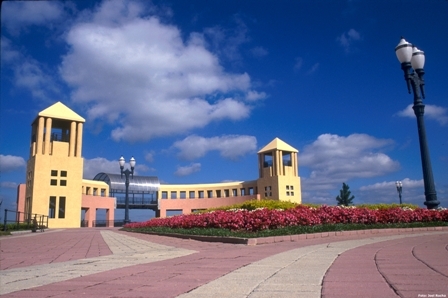 You can cover all the attractions in half a day, making Vila Velha State Park a very attractive day trip from Curitiba. 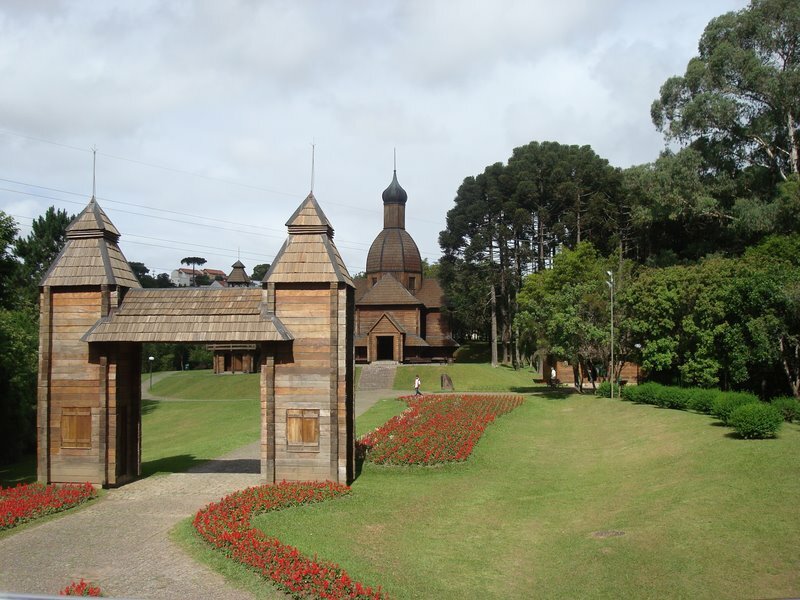 Check out the Vila Velha and Furnas tour and book it online now! This article was first published at the whl.travel blog, who have agreed to its republication here. View the original article on the whl.travel blog. Found off the coast of southeast Brazil, Ilha do Mel, which means Honey Island, is about as far from life’s chaos as serene nature can get. Hikers, surfers, bird watchers, stargazers and nature lovers alike are in awe of all that this little Atlantic island has to offer. In fact, many agree that Brazil’s most pristine beaches are located right here, where, until the 1970s, the local economy was dominated by fishermen and the lack of traffic spared the land as an ecotourism haven. As Ilha do Mel is an island of fishermen, this colourful pier is always full of activity. Sampling the abundance of seafood available in the eateries from the daily catches is always a treat. Ilha do Mel is hardly a mass tourism destination, which is one of the things the locals and visitors love about it. Recently reconnected with the mainland – electricity was introduced in 1998, as were regular boat shuttles, water pipes and other eco-friendly amenities – the island today is fortunately still car-free, a sandy knot of trails crisscrossing an ecological reserve protected by strict regulations on guesthouses, restaurants, stores and tourism. Even better, one guiding principle on the island – a long-term one – is to preserve the environment in its unspoiled state. Ilha do Mel is a relative newcomer as a tourism destination and is actively fine-tuning its infrastructure. Efforts are also being made to educate local business owners about business improvement opportunities that tap into tourism as a force for long-term sustainability and an improved standard of living. Boats are a common sight around this oddly shaped island, since they are the only form of motorised transport. Travellers must reach the island by boat and can walk its expanses, taking in all the magnificent views. Within this framework, some guidance is being offered by Discover Paraná, the whl.travel local connection on Ilha do Mel, in cooperation with Sebrae, a non-governmental organisation that contributes to the sustainable development of communities by offering to micro and small enterprises the conditions necessary for their survival. One local guesthouse owner, Carlos, is a community leader and involved with many programs, like the Ministry of Tourism’s ‘Bem Receber‘, which educates and incentivises entrepreneurs to create and run projects relating to responsible tourism, including water and energy saving, staff education and training, waste recycling and more. As a result of his participation in this program, Carlos’ pousada, Enseada das Conchas, as well as another lodge called Fim da Trilha, have succeeded in reducing the accommodations’ waste production. Travellers staying in these inviting, locally owned Ilha do Mel hotels and guesthouses are rewarded with the knowledge that efforts are being made to minimise the environmental impact their stay is having on the surrounding gorgeous gardens. 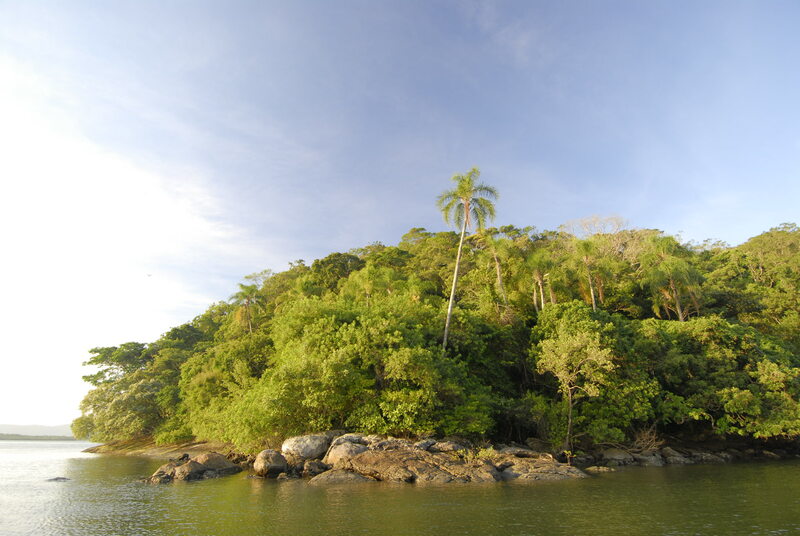 Ilha do Mel is accessible only by boat from Paranaguá or Pontal do Sul. From Pontal do Sul, the 30-minute service runs every hour in low season, every 30 minutes otherwise. Cars can be left in Pontal do Sul, in parking lots from which public transport buses easily reach the dock. After 5pm, private boat transport must be arranged. From Paranaguá, boats depart for the 90-minute crossing two to five times per day, depending on the season. The boat owners are organised in an association and all tickets include the price of the return trip, as well as a nature conservation fee of approximately US$2 dollars. All passengers arriving from Pontal do Sul must produce a badge showing that the fee has been paid. This fortress was built by the Dutch in 1767 to ward off English buccaneers. Its whitewashed walls are quite a remarkable site and tourists are welcome to peruse the dark, dreary jail, which is quite a contrast to the beauty of the rest of the island. Upon arrival at the island’s dock, several men wearing uniforms (t-shirts) wait to assist travellers with luggage. 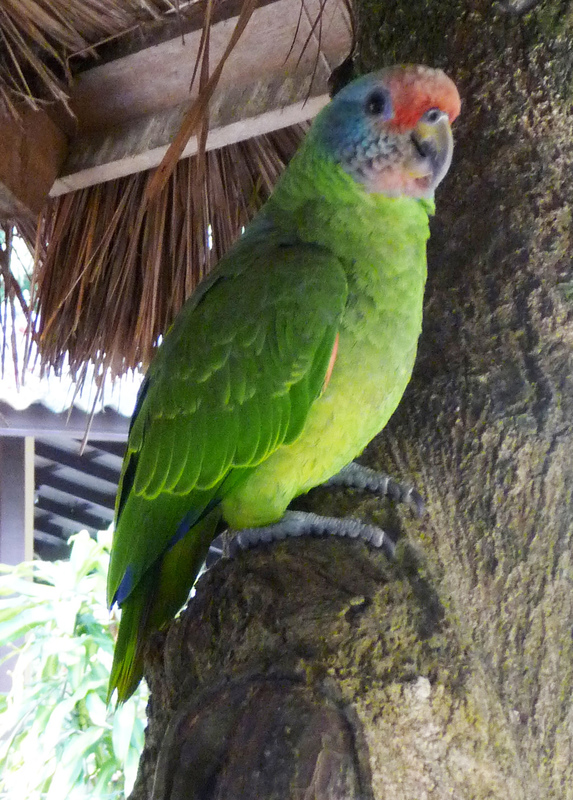 Their services are priced at fixed rates, depending on the location of the guesthouse; haggling is not usual in Brazil. These helpers are also organised in an association and only the next worker in line is able to take luggage, a very helpful service for guests who don’t know their way around the island and will have difficulty toting their bags through the sand. Travellers who can get by with a little Portuguese will find that guesthouse owners are more than willing to lead personalised Ilha do Mel tours that bring to life their little paradise in the Atlantic. Others will simply take pleasure in exploring the bountiful jungle or strolling along pristine, sandy beaches. Surf enthusiasts will find all their needs met by Fernando (from Pousada Treze Luas) and Zeco (from Grajagan Surf Resort), experienced surf instructors with boards for rent or lessons to teach. The local cuisine is all about fish and seafood. Try the best of it at Mar e Sol, where the ‘Prato Surfista’ is highly recommended.